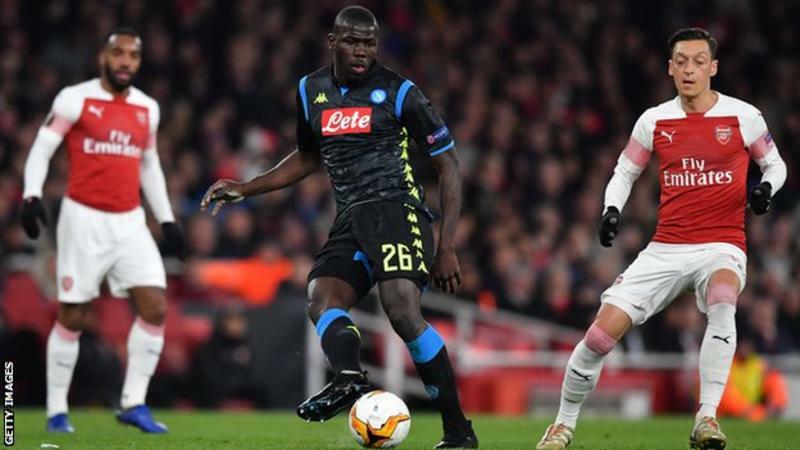 a social media video appeared to show a fan racially abusing Napoli's Senegalese defender Kalidou Koulibaly. It's not shameful when it's expected. Oi KNOBBER, why do you profess to speak for other people? Just because you rushed to open a thread does not mean they are silent. Did you even open a thread on racist Chelsea fans? and? Sometimes, its prudent to keep quiet and walk away. To pretend to be Chelsea fans. The d#$% keeps telling everyone they are not smart. This is how its done! Complete condemnation of the racist! Thank you, Kajibaba! the others are trying to sofetn the blow because they will die for Arsenal. #disgusting. A person of mixed [with black] heritage using the n word is a racial controversy? Save the thread, I didn't say the video was in Prague I said the fans travelled to Prague as per Chelsea's official statement.